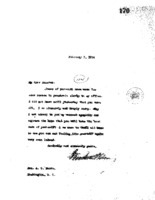 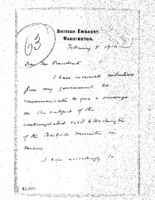 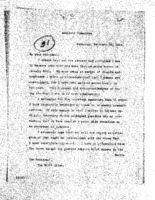 Date is exactly "1914 February 5"
Woodrow Wilson replies to Walter W. Kenilworth's request for a pardon of Louis Kuehnle. 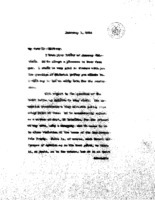 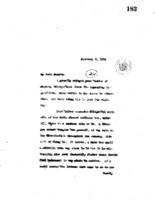 Cecil Arthur Spring Rice writes to Woodrow Wilson about the Mexico situation. 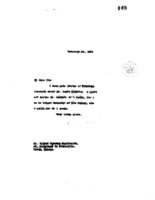 Elihu Root to Benjamin Strong Jr. 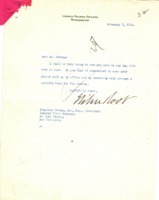 Senator Elihu Root writes Benjamin Strong Jr. to say he would be glad to meet with him.